As each is introduced, he is given a degree of menace and a quirk. We are supposed to find them villanous, but also endearing. Gideon suffuciently creepy, but able to be put off with a well-aimed footstomp and is hampered by his nervous habit of sneezing. Tex is laconic, but serious and believable in his warnings. Scobie is perceived as genuinely violent, possibly even deranged in his pursuit of the money — except that his prosthetic arm seems like a bit of an overblown threat, more like the notable characteristic of a Bond villain, except that Cary Grant’s character views it with very real concern. Each is somewhat comic is his appearance, with even Scobie’s mass belied by his cherubic face and unruly wisps of hair (or perhaps I’m retroactively unable to find him dangerous after his hapless involvement in The Naked Gun films). 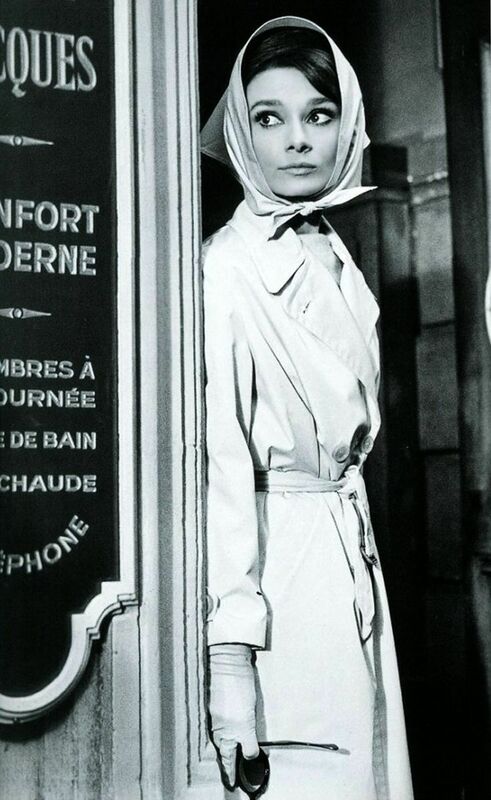 When they kidnap Jean-Louis to try and force Hepburn’s character to reveal the location of the money, the child never seems to think of himself as in danger, and they never act toward him with any hostility. How real is their threat on his life? It should seem farcical, except for the fact that this film opens with a shot of a bloodied, dead body, and we are supposed to be seriously considering that one of these men killed him. Or, as they start dying off, that perhaps Grant’s character offed him and then them. This is the second and perhaps most major sticking point of the film: can an audience really believe that he could be the killer? Can they get past their preconceived notions of the his affable manner and plummy voice and genuinely doubt that maybe he’s not the hero after all? We know he’s a genuine liar. He switches identities three times before the denouement of the film, and we’ve seen him dissemble and collaborate with thieves. And then we see him with a gun in his hand, with blood flushing his face moments before we stumble upon the corpse of a man who had just been mocking him mercilessly. We know that Hepburn’s character becomes absolutely, deathly afraid of him, but does the audience ever really get carried along with her, believing that he could do her harm? It had been many years since 1941’s Suspicion, where it is alleged that studio bosses didn’t want audiences to be presented with Grant as a murderer. Hitchcock talks about this very briefly in Hitchcock/Truffault, but doesn’t specifically say that the studios felt audiences wouldn’t accept Grant as a murderer, but it is implied that such a twist would do damage to the established reputation and role they had created around him. In 2000’s What Lies Beneath the very twist is that the audience is willing to believe the best about an actor based on the rep he carries from previous roles. 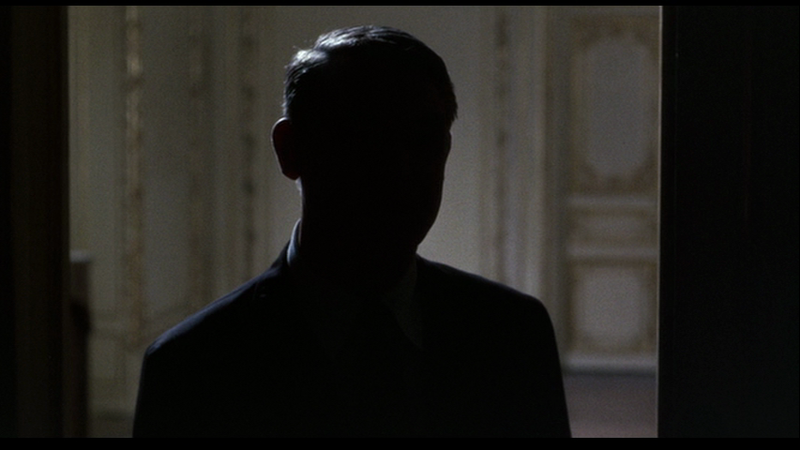 While Charade doesn’t seem to be weighing considerations quite that extra-textual, it does use soundtrack and editing to unsubtly make the audience pendulum between believing that circumstances can’t possibly be that dire, no matter how many bodies have piled up, and believing that against all expectations, Grant really could be a man as enmeshed in shadows as when he appeared at Hepburn’s apartment. Where the film does play against audience expectations is with the screenplay, and what I have decided to call “The Rule of Four”. The pattern of storytelling happening in threes is fairly well-known, so much so that an audience will subconsciously expect resolution when something happens the third time. The strongest case the film makes for us to take Grant’s character seriously as the murderer is not just that he’s the last one we see with Tex alive, but also that when Tex dies… he seems to be the only one left. But, there is another. When the film introduces us to the three bears at the funeral, there is a fourth visitor as well: a menacing form that invites Hepburn’s character to meet Walter Matthau. When each of the three bears threatens Hepburn in succession, she then escapes to the Les Halles market to meet with… Walter Matthau. We are so culturally used to a pattern of three, that we don’t anticipate the existence of a fourth. Similarly, after being introduced to Cary Grant as Peter Joshua, Alexander Dyle, and Adam Canfield, we think we’re done, so the further revelation of his actual identity of Brian Cruikshank should come as completely unexpected. We examine the contents of Charles Lampbert’s airline bag three times looking for the hidden money: once in the police station, once with Tex and Gideon, and finally with Adam and Reggie. According to the rule of three, we are now done, so we put it out of our minds. To then return yet a fourth time with counter-confirmation that the money was actually there under our noses each time, is a successful swerve . 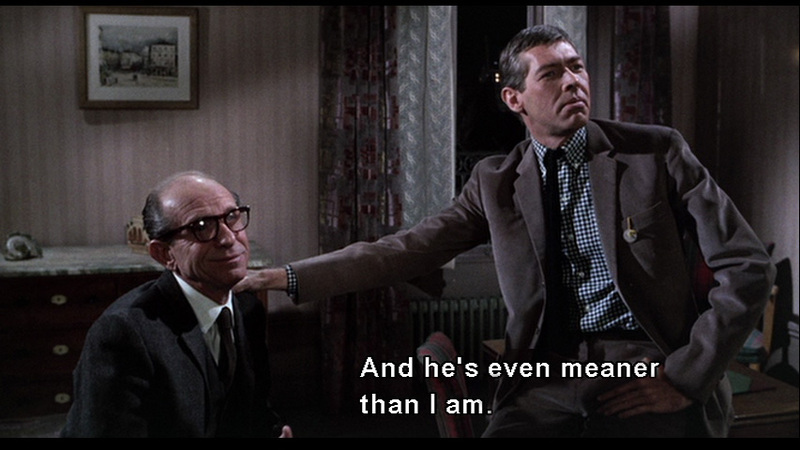 I believe the above list demonstrates that the screenplay set up several deliberate patterns of threes with a legerdemain fourth, but it’s also vaguely interesting that the line “Carson Dyle is dead” is said four times during the scene in which the idea of him is introduced between Matthau and Hepburn. Just to make sure we believe it. And, this seems to be a change from an earlier version of the screenplay, where Matthau’s Bartholomew had originally left the matter more open-ended with the substitute line, “Dyle was clearly dying.” Perhaps this led the audience too quickly to the twist, or perhaps it was merely speculated that it could. In either case, it isn’t in the final film. It is this structure of subverting the traditional folkloric rule of three that allows the twists to creep up on the audience. It is the continual meandering between underplaying high stakes and significantly underscoring dramatic reversals that leaves the audience unsure enough that an unthinkable villain can be momentarily considered as feasible. And there’s something to be said about the arch patter of the film and its stars and the way it combines with a low-gloss, off-handedly naturalistic series of beats that helps make this film both solidly classic and simultaneously warmly, modernly accessible. Which perhaps makes it appropriate that such terrible, low-rez versions of the film were offered up to an indifferent DVD-consuming audience: what could better summarize a synthesis of glitz and grain more than an independently-produced, studio-released film that took advantage of the new-fangled DVD technology with such special features as “Interactive Menus”! Ooh! Ahh! PS: Just two days ago, Donen revealed that he intends to direct his first theatrical film since his last picture in 1984, nearly 30 years ago. Donen’s fans are likely not legion, and classic cineists may well prefer him as a choreographer than a character diretcor, but as someone who’d love to get some Charade-related material signed at a future film festival, I can’t help but find this news appealing. *According to two online calculators, $250,000 in 1963 dollars was worth approximately $1,870,000 in 2012, meaning that a one-fifth share between the original thieves would have been worth $374,000, or more than the original whole.